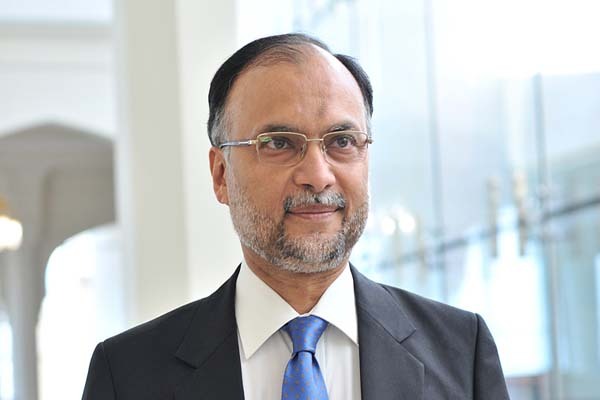 ISLAMABAD, Aug 12 (APP): Minister for Planning, Development and Reform, Ahsan Iqbal said on Friday that Pakistan was moving fast on the path of development as the Gross Domestic Products (GDP) growth had risen from 3.7 percent to 4.7 percent. He informed that Pakistan Stock Exchange (PSE) had also touched 40000 points from 12000 points. The Minister said, Pakistan started its journey from nowhere but now it was an independent and sovereign state. He said, today, Pakistan was making progress in every sphere of life, adding, any nation would make progress and development if its thinking was positive. Ahsan Iqbal stressed that the development of the country was only possible if there was political stability and continuity in policies. He said, today’s Pakistan was rising and moving ahead fast on the path of development.